Today is the last peak day of the Perseid meteor shower. It also is the day before the new moon. Yes, the sky is at it’s darkest, making the stars their brightest. 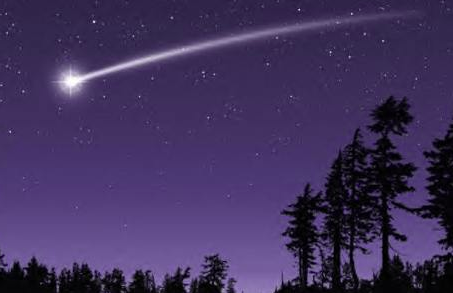 If ever there is an opportunity to see a falling star and make a wish, tonight is the night. The Perseid meteor shower is an annual event that usually occurs in the beginning August when the Earth crosses the orbital path of debris left from the Swift-Tuttle comet. It has been named the Perseid meteor shower because it is in same area in the sky as the Perseus constellation. NASA has reported that during peak hours viewers may be able to see as many as 100 meteors an hour traveling at a speed of 37 miles per second. Lucky us. We have thousands of miraculous beams of light magically flying through our sky illuminating our life and dreams. In ancient times, falling stars were considered gifts from the gods. Today, we can continue to believe this. Falling stars are catalytic force—shining light and driving us to move toward our truth, dreams and desires. The sky is at it’s darkest tonight because there is no moon reflecting light. On Friday morning at 8:53am MDT the darkest moment of the new moon begins. It is known by many that the new moon is an important time to set new intentions. It’s like the seed planting time for a new cycle that is supported by the energy of the heart and emotions. So—get clear on your wishes and let’s hope for a clear night so we can truly watch our wishes fly! But no worries, if it’s cloudy, your sleepy, or city street lights are hindering your celestial vision. The energy is supporting you and your dreams coming true whether you can see it or not.